While City College students were stuck in class on March 7, a raccoon found itself stuck somewhere a little more interesting: in an Ocean Campus generator. The raccoon was discovered with just its head sticking out of the machinery, prompting a call to San Francisco Animal Care and Control (SFACC) around 11 a.m. Animal Control officers and a veterinarian arrived on the scene. After the vet gave the distressed animal a sedative, they were able to lubricate the animal with baby oil and free her head from the hole—but not before taking some photos of the bewildered looking animal first. Later, the photos were posted on the popular “Officer Edith” Twitter account, which serves as a platform for sharing some of the SFACC’s more adorable and humorous encounters with animals. 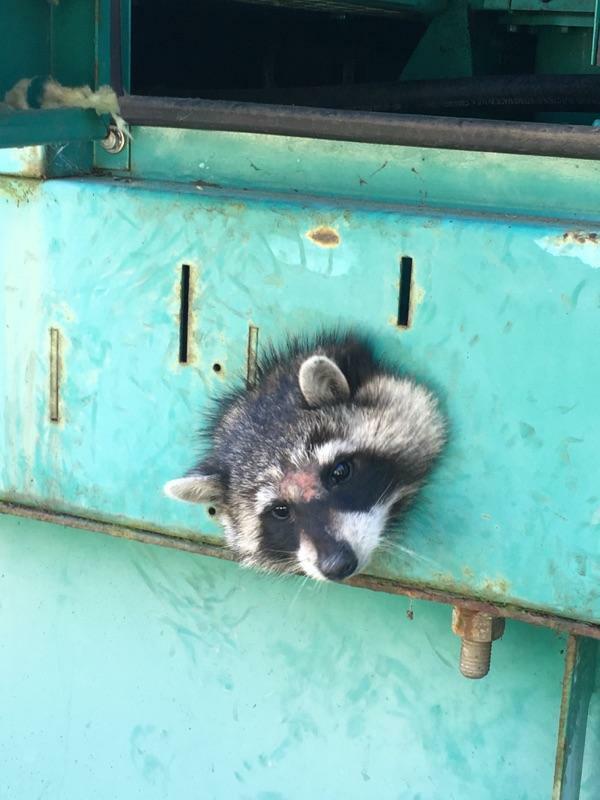 According to Eleanor Sadler, acting lieutenant and spokesperson of SFACC, it is “common-ish” for raccoons to get stuck in things. 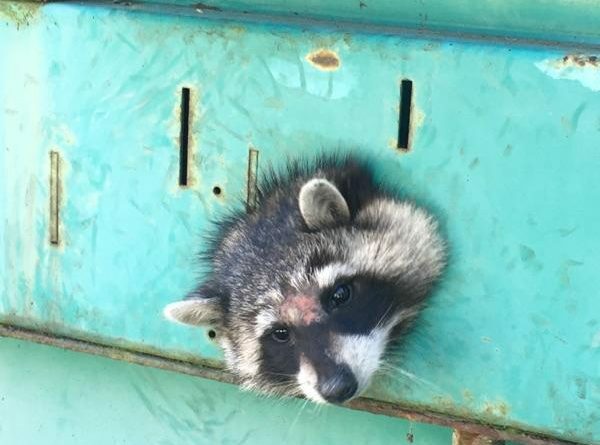 “Raccoons get stuck in all kinds of places. Not usually by their heads, it’s usually by their legs, but it’s not surprising,” she said. Raccoons have ears that point backwards, which sometimes leads to situations like this. “They can put their heads in things, but then they can’t pull their head out of things because their ears block the way,” Sadler said. 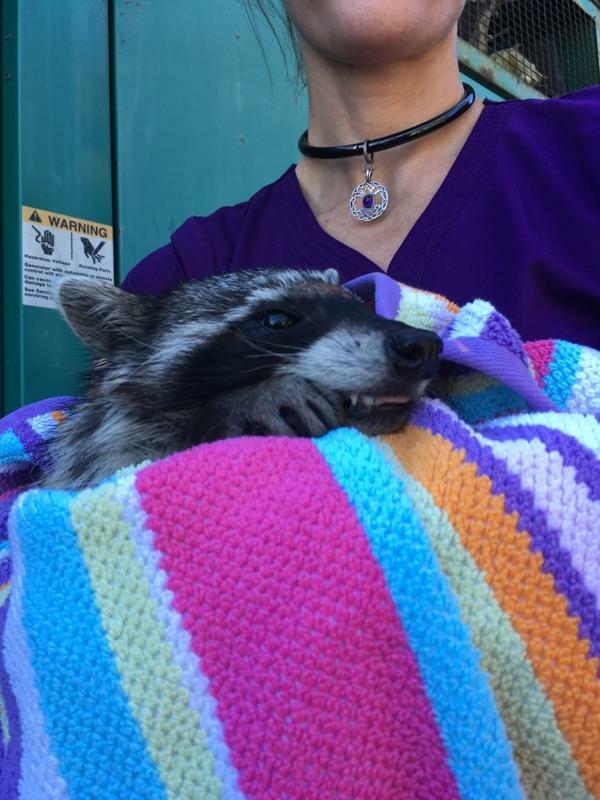 Once freed, the raccoon was taken back to the SFACC shelter to have her condition assessed. She was declared healthy and returned to the area that same night. A raccoon contemplates the mistakes its made in life after poking its head through an opening in an Ocean Campus generator and becoming stuck on March 7, 2018. Photo courtesy of the San Francisco Animal Control Center. Raccoon freed from nightmare of being stuck at school forever on March 7, 2018. Photo courtesy of San Francisco Animal Control Center.